Jefry has the biggest smile in Fond Blanc. He came to live at the orphanage with his big sister Sophiana in 2012. His mother lives back in Les Cayes with 8 of his other siblings. He has one more little sister that lives in Pastor Jean Claude’s orphanage in Fontamara. His father passed away when he was an infant. Jefry is a very funny child always making us laugh. Right now, he doesn’t know he lives in Haiti. 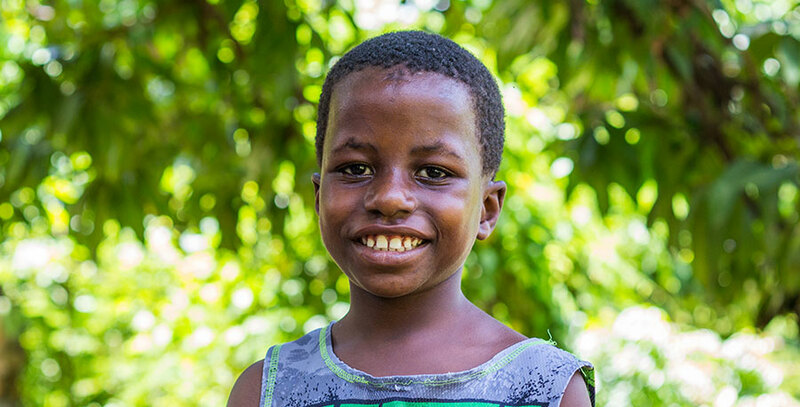 After moving here to Fond Blanc, he told us that he loves Fond Blanc so much, he never wants to move back to Haiti! He loves being able to be with so many friends and getting to meet all the visitors during the summers. His best friend is Lovensky and when they’re together, there are always plenty of laughs to go around. Jefry has an amazing imagination and ability to lead a group. He loves to help with VBS sessions and lead prayers with the other children and visitors. His favorite activity is going to church with his friends. Since he’s always a great helper with our construction projects throughout the years, he wants to become a carpenter when he gets older.